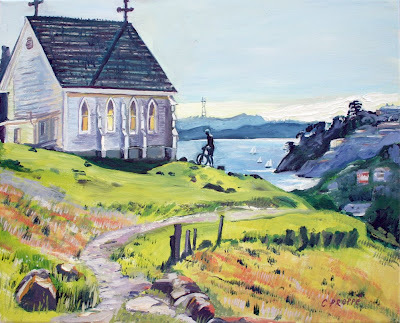 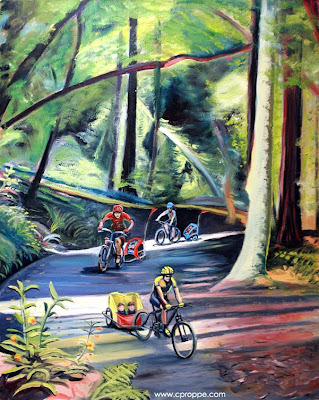 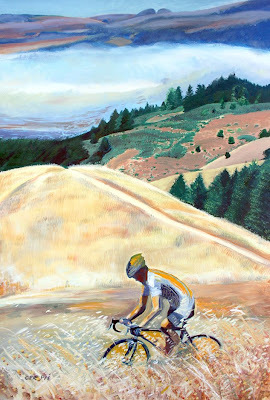 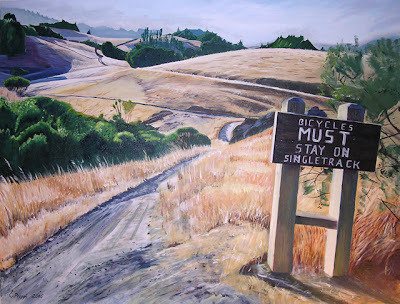 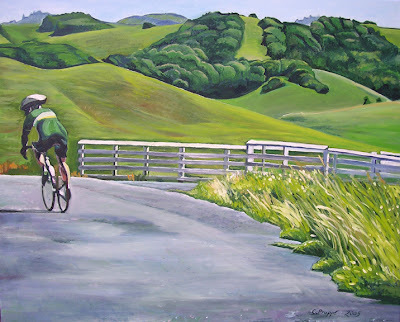 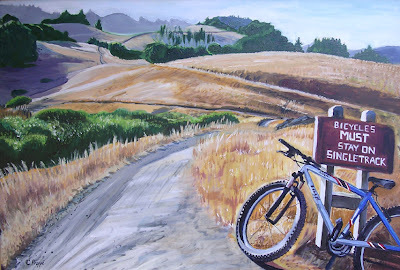 "Cycling through Landscapes" is a series I created for the Mill Valley Depot Show, September 2009. 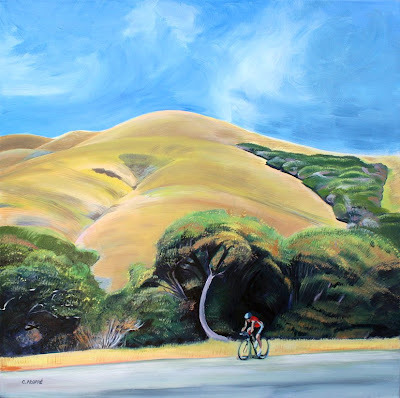 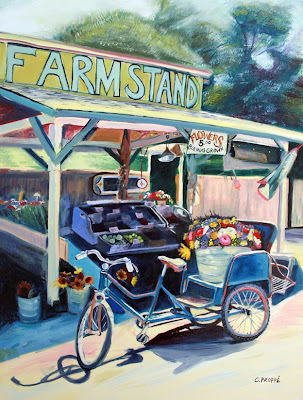 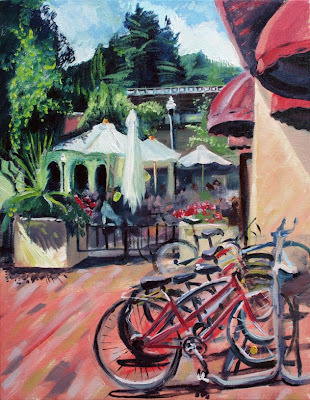 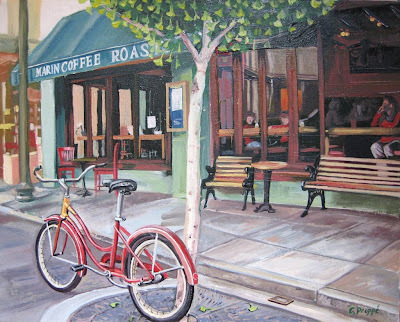 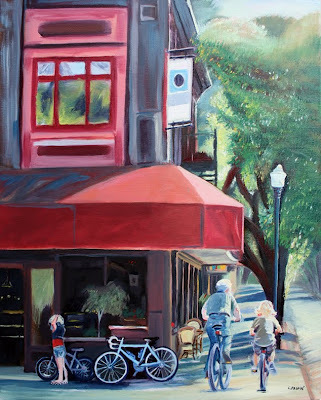 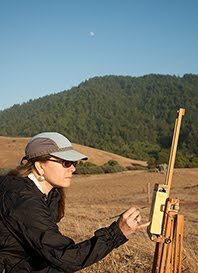 It has visited 3 galleries in Marin, and now is currently on display at the San Anselmo Coffee Roasters, a frequent cyclist rest stop. 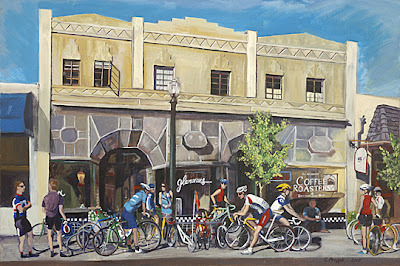 I have had wonderful feedback on this exhibit from our community, comments such as, "It is a real tribute to the cyclists of our town". 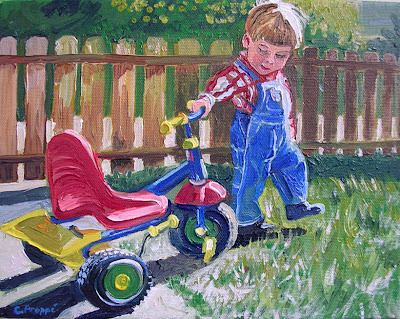 Prints of all this series may be purchased through Fine Art America. 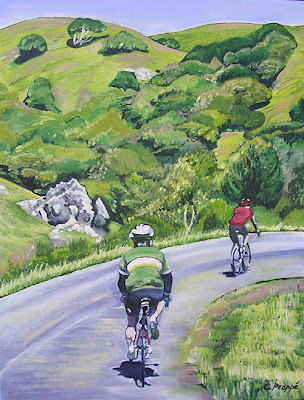 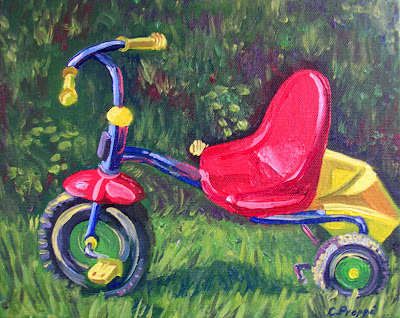 View original cycling paintings by C.Proppé that are still available to purchase. 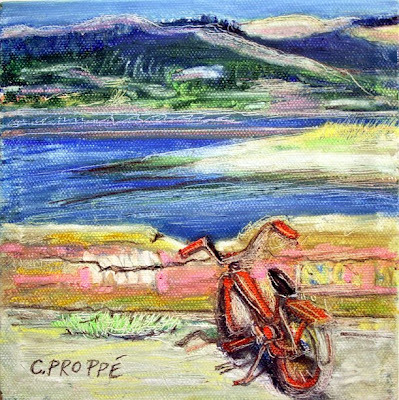 "Big Red waits patiently for next Sausalito Cruise"
"Bolinas Lagoon, Bolinas Ridge, Bike Study", 6" x 6" framed, oil pastel and scratch removal on canvas. 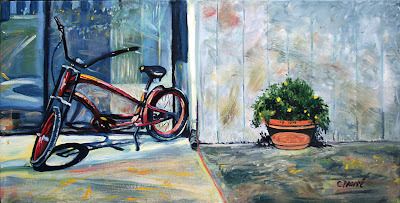 Sealed._____SOLD.